Appdango: Earn Rewards for Apps! just for trying out apps? With Appdango, now you can! Learn about the Appdango Best Rewards Guarantee. Check out this sweet video on how to earn points with Appdango! Download Appdango from Google Play™. You’ll earn points just for checking them out! 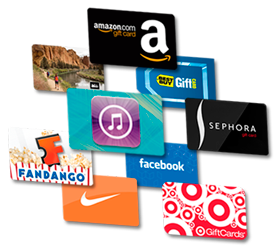 Exchange points for gift cards with popular retailers. 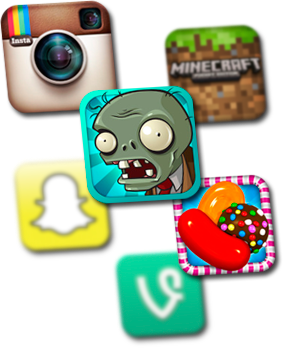 Appdango is a fun way to earn rewards while discovering cool apps! We are Guppy Games, and we made Appdango just for you! We’re a fun-loving bunch who enjoy chilling in Seattle, our hometown. If you have any suggestions for Appdango, we’d love to hear from you! How do I get rewards? To redeem points for rewards, go to the Rewards screen. You can access the Rewards screen through the side menu or by tapping on your points balance in the menu bar. You must be signed in to exchange your points for rewards. When you have enough points, tap on the reward that you want and choose “Redeem points for this reward”. You will receive an email asking you to confirm your rewards order. To receive your reward, you must click on the link. The link expires after 24 hours. Once you confirm your order, you will receive an email from noreply@tangocard.com within 2 business days. It will have instructions on how to redeem your reward. Please add noreply@tangocard.com to your address book to ensure that your rewards email does not get marked as spam. You can earn points by installing apps. Each app has different point values and conditions to follow. For most apps, to receive your points, you must install the app through Appdango, open it, and use it for a few hours. Some apps may require more interaction to receive points. How do I download apps? In the main screen, you can sort apps by featured, top points, top downloads, top new, or alphabetically. You can view apps by category through the side menu. If you already have an app in mind, you can search for it by tapping the magnifying glass icon. Once you’ve found an app you want, tap it and select “Install” from the menu. 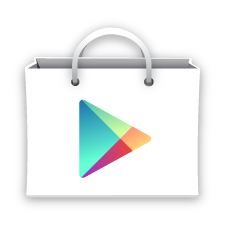 You’ll complete the download through Google Play. Still have more questions? Check out the Appdango Help Desk at support.appdango.com or ask us. Still have questions? Just want to say hi? Hit us up! Can’t read the image? Try another.